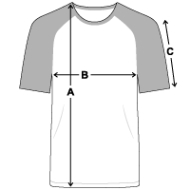 The stylish baseball t-shirt from promodoro. Colour-contrasting raglan sleeves, and 100% cotton. Double-stitched on arms and very durable. High quality, high comfort, fabric weight of 180 g/m².